We have told you reinstalling an application may help you to fix many problems. If you are having trouble with your application, it is one of the best ways to fix the problem. 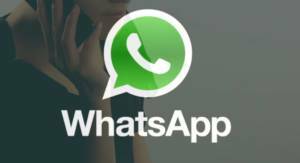 You can reinstall WhatsApp, if you are having problem with the app. We are going to give you information on how to do that on this page. If you have any questions, you can ask us through commenting this page. We are going to respond it as soon as possible. You will find a step by step guide for uninstalling and reinstalling WhatsApp in your Android and iPhone Devices. If you are using an Android device, you should do the following steps to reinstall WhatsApp Messenger to your phone. Go to settings of your phone or tablet. Select WhatsApp from the list. Tap on uninstall button to remove the application. Check if any files remained in your phone with a file manager. We recommend you to clear all files. Restart your device and go to Google Play. Search for WhatsApp on Google Play. Download and install it to your device again. It is very easy to do for iPhone and any other iOS devices. You can do the following steps to reinstall application to your phone. Close WhatsApp Messenger in your phone. Hold onto icon of the WhatsApp until you see the red x image. Tap on red x image to remove the application. Go to App Store and install the application to your phone again. When you reinstall WhatsApp on iPhone, you will already clear storage, data and cache. There is not any particular option on iOS devices for clearing data and cache but it is available for Android. You can only do it with reinstall WhatsApp messenger on iOS devices.